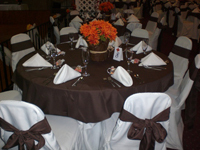 As you start planning for that special event let Sweet-N-Saucy be your partner. 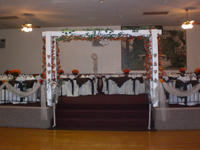 Sweet-N-Saucy has over 30 years of experience making sure every detail is managed so your special event comes off as you dreamed. 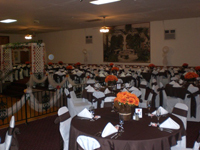 Sweet-N-Saucy's reputation for providing exceptional catering for all types of events is unmatched. 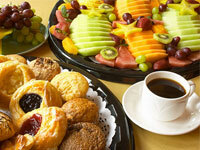 Work with Sweet-N-Saucy to develop an event that is exactly what you desire. 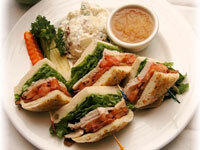 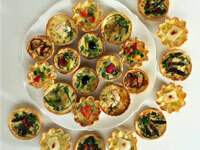 Call us at 607-562-3135 to set up an appointment to review your catering requirements. 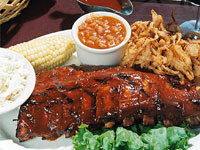 Sweet-N-Saucy will cater your event at your business or household no matter the size. 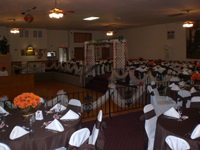 We specialize in weddings and large events where we will handle as much or as little of the catering event details that you desire. 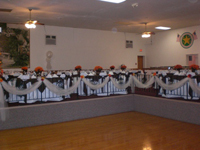 We have full service staff capable of not only serving your event but also capable of full event set-up and tear down so you don't have to be bothered with anything but enjoying that special day. 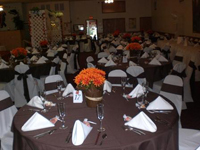 Below are pictures of a recent wedding we catered at the IAV.